Matthias Zwicker joined the University of Maryland Department of Computer Science and the university’s Institute for Advanced Computer Studies (UMIACS) in March 2017 as the Reginald Allan Hahne Endowed E-Nnovate Professor in Computer Science. In 2015, Elizabeth Iribe established the endowed professorship to honor Hahne, her son Brendan Iribe’s high school computer science teacher. Elizabeth’s donation received an equal match from the state’s Maryland E-Nnovation Initiative Fund (MEIF), which aims to spur private donations to universities for applied research in scientific and technical fields by matching such donations. “With my gift, I wanted to help the University of Maryland become a leader in virtual reality, an emerging field that has become a big part of my life through my son, Brendan,” Elizabeth Iribe said. 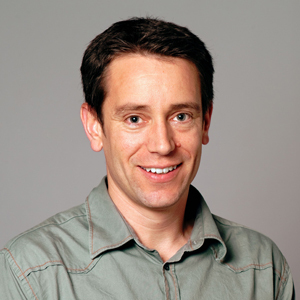 Zwicker’s research focuses on efficient high-quality rendering, signal processing techniques for computer graphics, data-driven modeling and animation, and point-based methods—all of which are needed to create next-generation platforms for virtual and augmented reality. In exchange for accepting the state’s matching funds, Zwicker will work at least one day each week in support of entrepreneurial activities at VisiSonics, a UMD startup founded by Ramani Duraiswami, a professor in the UMD Department of Computer Science and UMIACS. VisiSonics technology, originally developed at the University of Maryland, allows the company to be a leader in interactive 3D sound capture and reproduction for applications in virtual and augmented reality. Zwicker earned his Ph.D. in computer science from ETH in Zurich, Switzerland, in 2003. After completing postdoctoral research at MIT, Zwicker served as an assistant professor at the University of California San Diego from 2006 to 2008 before joining the faculty at the University of Bern. There, he served as a professor of computer science and head of the computer graphics group at the Institute of Computer Science. Zwicker has served as a papers co-chair and conference chair of the IEEE/Eurographics Symposium on Point-Based Graphics, and as a papers co-chair for Eurographics 2010. He has been a member of program committees for various conferences including the Association for Computing Machinery's Special Interest Group on Computer Graphics and Interactive Techniques (ACM SIGGRAPH) and Eurographics. He has served as an associate editor for journals such as Computer Graphics Forum and The Visual Computer. The Elizabeth Stevinson Iribe Endowed E-Nnovate Chair, filled by Department of Computer Science Chair Samir Khuller, which was funded by Elizabeth Iribe and funds from the state. The Paul Chrisman Iribe Endowed E-Nnovate Professor, funded by Elizabeth Iribe and an equal match from the state. It establishes a professorship in virtual reality in the Department of Computer Science, named after Elizabeth’s brother to honor his leadership of the family. As the Department of Computer Science searches for a candidate to fill the Iribe Professorship, construction has begun on the Brendan Iribe Center for Computer Science and Innovation. A cutting-edge research, education and entrepreneurship facility for computer science at UMD, the facility is expected to open in 2018. The new building became a reality thanks to a $31 million gift from Elizabeth’s son Brendan, a UMD alumnus and co-founder of the virtual reality company Oculus.